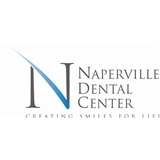 Naperville Dental Center (Naperville) - Book Appointment Online! Dr. Miloslava Miller is a graduate of University of Illinois College of Dentistry and has been practicing dentistry with focus on children, diabetic patients, pregnant, and patients with complex medical history. She prides herself in communications with her patients no matter what language they speak. She enjoys meeting and putting patients of all ages at ease when they visit for checkups or dental procedures. Dr. Miloslava Miller DDS is a caring and talented dentist who possesses the highest qualifications and who is extremely skilled in all phases of dentistry. I was surprised and very satisfied to learn Dr. Miller herself performs the teeth cleaning. She was thorough in both the cleaning and exam and has a pleasantly calm, down to earth demeanor. Most importantly, I feel that she is very honest and there is zero risk that she would ever suggest a treatment that is not necessary- I find this rare in a dentist and would recommend her to anyone.